Let’s look at why the clothes steamer is soon going to replace the traditional iron. 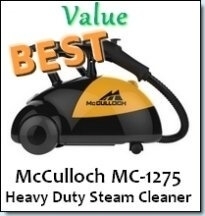 We also review the highest performing clothes steam cleaner. 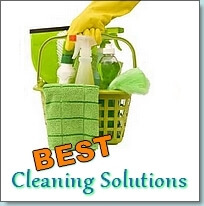 This article will help you decide on the best fabric steam cleaner for your needs. What is a fabric steamer? Ironically, this machine was invented because of men’s hats in the 1900’s. During this time, most men wore hats or fedora’s which were prone to wrinkling. Thus, the fabric or garment steamer was born which were capable of easily removing wrinkles. Most of the steamers that were created were a bit cumbersome and only recently were hand held and lightweight ones invented. The first being industrial and heavy duty type steamers which are used by large commercial dry cleaning businesses. Then there are mid sized steam cleaners which are suitable for professional seamstresses or even a regular home user. The third size is the hand held or mini clothes steamer which is great for touch ups or for someone who needs to travel a lot. Unlike an iron which uses a heated metal surface to remove wrinkles, the fabric steamer uses only the power of steam. An iron actually flattens the fibers of your clothes and fabrics whereas a steamer relaxes the fibers which are a much gentler method of de-wrinkling your clothes. This method also increases the life and luster of your clothing and also eliminates the threat of scorching. Since fabric steam cleaners don’t exert brute force and pressure, this ensures that fabrics retain their beauty as well as their luxurious feel. Using a clothes steamer is especially recommended on napped fabrics such as velveteen and velvet as well as delicate fabrics such as silk and satin. 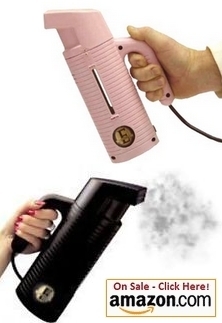 The mini and portable garment steamers are perfect for the traveling businessman and woman. They are small, neat and a much better alternative to stuffing your ironing board and iron into your suitcase! With these machines, you will always look and feel like your best. Besides using them for travel, they are a great tool to replace your traditional iron. They save energy and time and you can use them for multiple purposes. These include refreshing your curtains and drapes, car upholstery and furniture. There are countless uses for these machines which make it worth the investment. The best travel clothes steamer that we found is the Esteam Travel Series Jiffy Steamer. 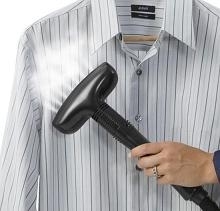 There are many other garment steamers that were less expensive, however, this is the most effective and highest recommended by other consumers. So what are people really saying about this steamer? It is highly recommended by business travelers and one man says that it works great on his business attire and that he won’t travel without it! 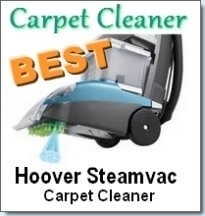 Many consumers have compared this mini steamer to home sized steamers in terms of performance. 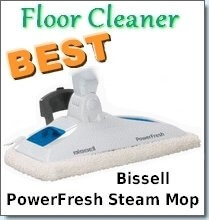 Some have even commented that this steamer is as powerful as any iron they’ve owned. The negative reviews of this machine include users who wish that it would steam for longer. This is a minor issue as you simply have to allow it to cool down, then refill if you need to steam for longer periods of time. Jiffy is certainly the brand to look for when deciding to purchase a clothes steamer. Besides having the best steamer in the travel category, they’ve also managed to get the top spot for the home category. The Jiffy Steamer J-2000 is a great choice for all your home garment steaming needs. It has gained a 4.5 star rating from well over 1000 customers on Amazon. That is simply the best rating in the industry. What are customers saying about the Jiffy J-2000? Most say it doesn’t look like much, but the performance, quality of make and handling is superb. It is extremely effective in de-wrinkling your clothes and will definitely perform to the highest standards. The wrinkles literally disappear. The bad reviews of the steamer include consumers who found that the hose gets a little too hot and some wish that the wheels on the tank would lock. These are minor issues when compared to the performance issues of other home garment steamers. It does cost a little more at $165, however, it is worth the money. You do get what you pay for and more.